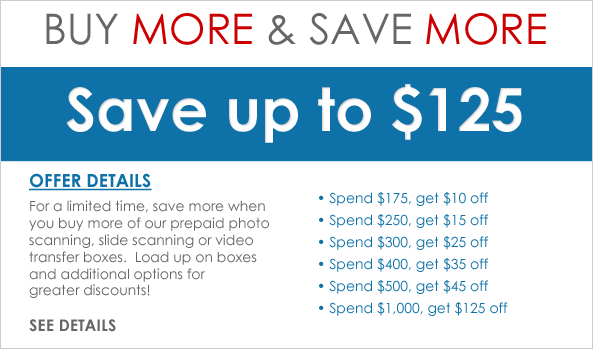 Our popular prepaid photo scanning bundled package of goodies allows you to choose 150 dpi social media scanning for $198 per box, or upgrade to 300 dpi archival scanning for $359 per box, or 600dpi professional high quality scanning for $399 per box. After you place your order, we’ll send you a prepaid box that you can fill up (on average, the box will hold 1,800 photos). But before you do that, please read our guidelines for how to prepare your photos for scanning, or see below for an informational video. All work is completed onsite at our facility in Irvine, California and handled with the greatest of care by trained professionals. Your order includes: 1 prepaid standard social media (150dpi) scanning box, scan in order, 1 DVD data disk, original photos returned with your scanned images, 1 custom 8GB flash drive, free 3-way delivery, and instant upload of JPEG formatted digital files uploaded to your email as photos are scanned. Box dimensions: 11" x 8.5" x 5.5"
Note: Due to swift technological changes, your returned prepaid box order for scanning must be received back to ScanMyPhotos.com within 6 months from the date the order was placed. Otherwise, the box expires and no consideration, obligation or monetary reimbursement of any kind will be provided. Add-On Options: The quantity ordered for Add-On options MUST match the quantity of boxes ordered. Refund Information: Due to the nature of the prepaid boxes and shipping costs, we cannot offer a refund once the empty box has been shipped. Replacement Box: If you lose or damage your box, we charge $24.95 per box replacement fee to have new boxes shipped to you. Thumb Drive Want your images saved to a thumb drive in addition to a DVD? Add this option and receive your images on an 8GB USB thumb drive (with protective case) in addition to our standard DVD. Scan in Order Need your photos scanned in a specific order? Group them with rubber bands denoting the order to be scanned and our technicians will then scan your photos in that order. Photo Soap Photo Soap is the newest version of our enhancement process to help restore color and contrast to your photos. Additional DVD's Order additional DVDs to give to family and friends. It is highly recommended that you always store one DVD outside of your location as a backup. Photo Index Book & Image Rotation Order Photo Index Books of all your photos. 8.5"x11" hard cover books to show family and friends and organize in a more elegant manner. Image Rotation Rotate all images upright so they appear in the correct orientation on the final DVD. Express Scanning The Express Scanning treats you to special privileges and custom services throughout the scanning process so your order is professionally completed in one business day. FedEx Overnight of Empty Prepaid Box AN EXTRA $42.95 OVERNIGHT FEDEX CHARGE APPLIES TO EACH SEPARATE ORDER. Your prepaid box will be delivered the next business day. 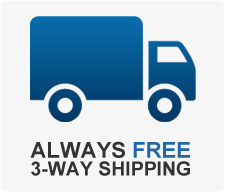 Buy 2-get-one-free prepaid boxes must all be mailed to the same address. Prepaid Photo Box 2 Month Extension Can't get your photos in by the 6 month cut off? Add this two month extension so you have up to 8 months to send your box in. Also valid if your box has expired and you would like to send it in after the expiration date. Photo Scanning Replacement Box Have you lost or damaged you prepaid photo box? Order a replacement box and we will ship you new box with new postage. During checkout, you must include your original order number for reference. 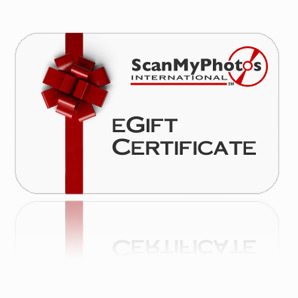 Your Photo Scanning Package - Save up to 45% was added to cart!